Reinforce learning about earthworms with a model magic worm and dancing and wiggling worms that preschool children will love. Read books and display photos of worms or bring live worms into the classroom for student observation. Let students feel the worms moving through their hands. Explain that worms help plants grow by keeping the soil loose. Show children the segments located on the worm. What do worms feel like? How do their bodies look? Talk about the earthworm life-cycle and explain what a worm cast is and how they are rich in nutrients and vitamins that help plants grow. 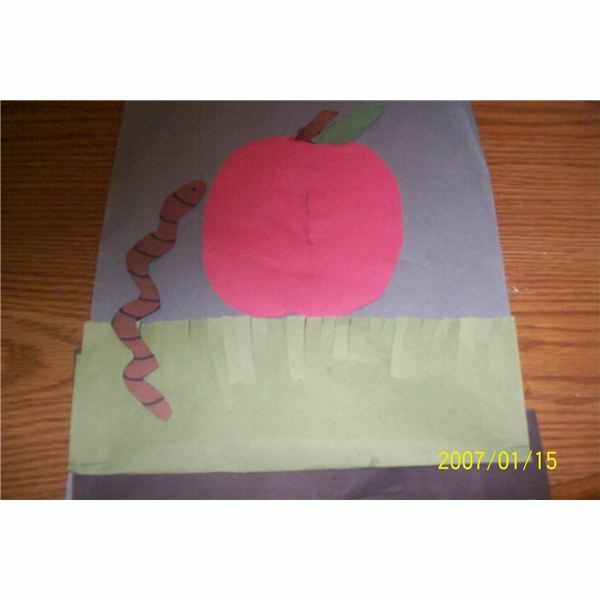 Preschoolers will love making a worm craft that they can make hide, dance, wiggle and move. Children will cut a strip of black construction paper and glue it on the blue paper to represent dirt. Cut fringed grass from the green construction paper and staple on each side to the blue paper. Trace an apple from red paper. Cut the apple out and cut a slit in the center. Glue the apple on the blue paper above the grass. 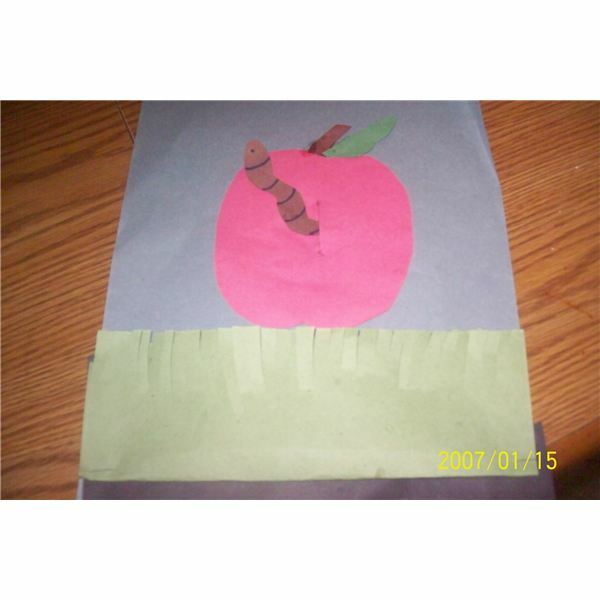 Cut a stem and leaf out of the construction paper and glue on the apple. Draw a worm on the heavy, brown paper. Create a face and lines to represent segments with the marker. Children will have hours of fun playing peek-a-boo with the worms and making them dance through the apple, grass and dirt. 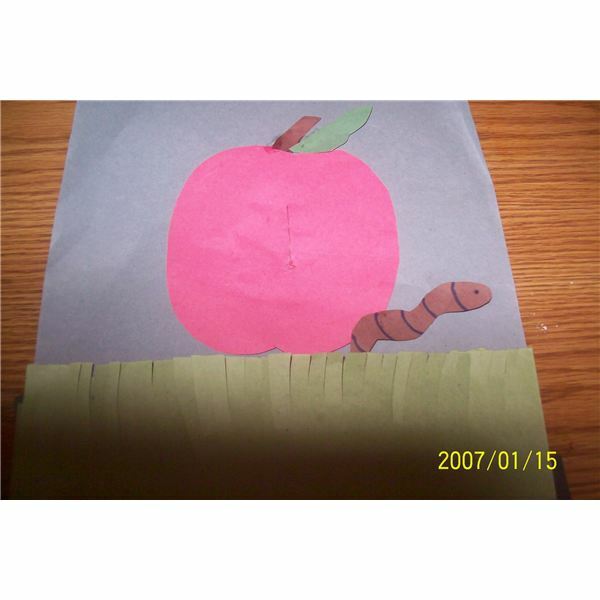 Include this preschool worm craft in your unit study on earthworms, gardening, springtime, or outdoor life. Preschoolers can put their individual touches on this project by forming their own wiggly worm shapes from Model Magic. Give each child a handful of Model Magic to work with. Show the preschoolers how to roll the Model Magic between their palms to make an elongated worm shape. The worms should be a few inches in length, and can be positioned into "wiggly" formations. Hand each child a paper plate to use for keeping the worms in place while painting. Pass out paintbrushes (and smocks if desired). Pour red craft paint onto separate paper plates and place in the center of the table for children to share. Instruct the preschoolers to paint their Model Magic worms. Mark each paper plate with the child's name and allow the worm to dry before gluing onto the "grass" background. Hand each preschooler a half sheet of green construction paper. Demonstrate how to make "blades of grass"by cutting the top of the paper into fringed sections. Leave the bottom of the paper intact. Ask each child to squeeze a few drops of glue onto the back of his or her dried worm, then instruct the group to press their worms onto the bottom part of the construction paper. The red worm will look like it is "resting" beneath the blades of grass. Allow glue to dry, then mark each completed project with the child's name. This slimy worm art project is a great way to give children a sensory experience on what real worms feel like if the teacher doesn't have access to live worms. Mixing different colors of food coloring or paint can make a wonderful art lesson to reinforce primary and secondary colors. Children will create beautiful worm art pictures in a rainbow of colors. Provide each student with a black sheet of poster board and a bowl of cooked spaghetti. This project can be done in two different ways. The teacher can die the pasta a variety of colors with food coloring ahead of time or allow the children to drag their worms through different colors of paint and set on a piece of newspaper to dry. If paint is used, allow children to mix different colors of paint together to form a variety of colors. Mixing several colors together will result in brown, which is fine. Allow the pasta to dry overnight. Instruct students to drag their colored pasta in a plate of glue and place on the black paper. Children can use their imagination and creativity when gluing the worms onto the paper. A variation to this art idea may include making finger print worms. Provide students with several containers of paint. The children will run their fingers through different colors of paint and create squirmy, worms on a piece of heavy white paper. Color green grass and soil on the white paper using markers or crayons. 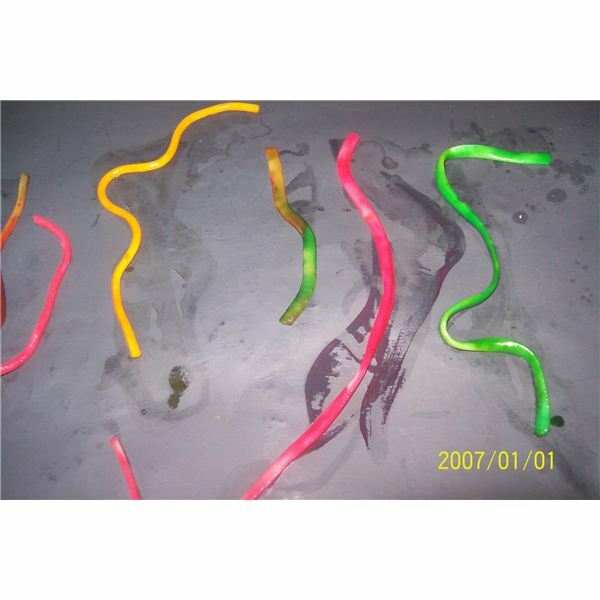 Whichever preschool worm crafts you choose to do with your class the kids are sure to wiggle and squirm with delight. All photos and crafts are the authors own experience and personal photos.